Entomologist categories around 3500 species of mosquitoespresent in the world. Some species of mosquitoes act as vectors, carriers and pathogen that cause diseases like, Malaria, Dengue, Chikungunya, Filariasis and Encephalitis. 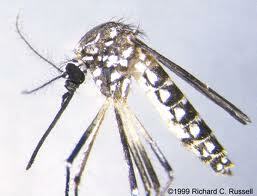 The male mosquitoes feed on plant and fruit saps. But the female mosquitoes feed on human and animal blood, which has the protein required by them to lay their eggs. 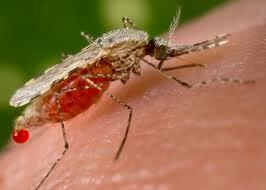 Anopheles stephesi and Anopheles culicifacies causes Malaria. These types of mosquitoes breed in clear water and tanks. They are night biting mosquitoes. They transmit virus from the saliva to humans and animals. Human and animal blood has the ability to clot. To stop clotting and enable them to draw blood, mosquitoes first inject saliva which has enzymes that retard clotting of blood when pierced. Thus the virus gets transmitted through the saliva of mosquitoes. Aedes aegypti and Aedes albopictus are the two species that causes Dengue, Chikungunya. They are known as Asian Tiger Mosquitoes, for having white lines on them. They are usually found in forest and breed in artificial containers with stagnant water like pots, cups, mugs, coconut shells and plastic bags. They are day biting mosquitoes and more active in morning and evenings. So coils and nets may not be useful. The name Dengue means break bone fever and cramping pain.